My research focuses on preventing chronic disease like cardiovascular disease and cancer by encouraging children and adults to be active, eat healthily, to quit smoking and not to consume alcohol excessively. I develop and evaluate programs to addresses these health risks, as well as strategies to maximise implement effective programs in the community. Most death and disability in Australia is due to chronic disease. I wanted to conduct research to help people live healthy lives. I would like my research to support health promotion being considered important in all government polices - from local government and planning, to education, community services and health. 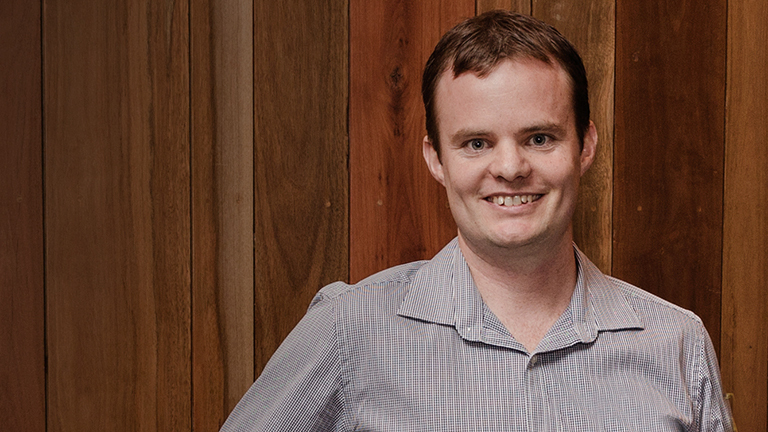 Associate Professor Luke Wolfenden is a behavioural scientist. He completed his PhD at the University of Newcastle in 2006. Since this time he has pursued a career in applied public health research. His research seeks to reduce the burden of chronic disease in the community by testing the effectiveness of interventions to improve health behaviours (such as tobacco and alcohol use, physical activity and nutrition) and to facilitate the translation of effective health promotion program into practice. He has worked with internationally recognised research institutions such as the United Kingdom Cochrane Centre, and the Centre for Practice Changing Research at the University of Ottawa. Associate Professor Wolfenden has undertaken consultancies for the World Health Organisation, Australian Federal Government and national non-government organisations including the Australian Drug Foundation. Health interventions developed by Associate Professor Wolfenden have been adopted and broadly and disseminated by the Australian government and non-government organisations. He has received international and national awards acknowledging the impact and significance of his research, including Early Career Awards from the International Society for Behavioural Health and Medicine, Australian National Preventive Health Agency and HMRI. The future focus of Associate Professor Wolfenden’s research is on developing the science of implementation to improve the uptake of evidence based chronic disease programs in community settings. A randomised controlled trial to assess the impact of a uniform intervention on girl’s physical activity at school. Children’s participation in at least 60 minutes of moderate-to-vigorous physical activity (MVPA) per day is essential for their healthy growth and development[ and the prevention of future chronic disease. Despite this, international research indicates that many school-aged children, in particularly girls, are not sufficiently active. It is estimated that girls are between 17-19% less active than boys with differences beginning from as young as 8 years. Improving physical activity during childhood, particularly among girls, has been identified as a public health priority. The project aims to reduce the number of disadvantaged adolescents across the Hunter New England region from taking up smoking and using alcohol and illict drugs. Professor John Attia named HMRI 2012 Researcher of the Year!